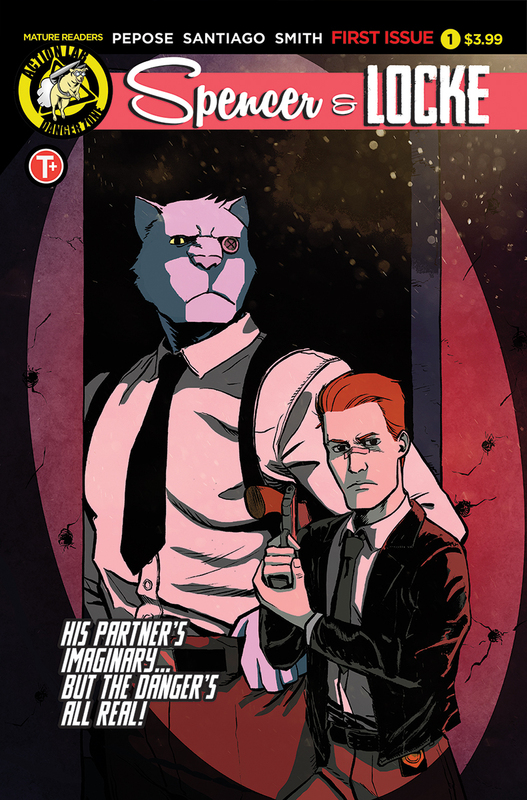 We are pleased to announce SPENCER & LOCKE, Action Lab Entertainment’s critically acclaimed new crime series from writer David Pepose and artist Jorge Santiago, Jr., has been optioned for film by Hitman film producer Adrian Askarieh and his company Prime Universe Films. You can learn more about this new development at The Hollywood Reporter. Described as “a fantastic debut” by Batman writer Scott Snyder and “a fiendishly fun take on an age-old classic” by IGN, SPENCER & LOCKE follows hard-boiled Detective Locke as he solves a brutal murder with the only partner he can trust — his imaginary talking panther, Spencer. But as their investigation stirs up a vicious crime syndicate and memories of Locke’s traumatic upbringing, can this unlikely pair survive long enough to learn the truth? SPENCER & LOCKE #4, which concludes the series’ action-packed storyline, will be available at comic shops and digital devices Wednesday, July 19. Series writer David Pepose will be signing copies of all four issues at Comic-Con International in San Diego at the Action Lab booth (#2006), including a never-before-seen SDCC variant cover from artist Joe Mulvey. 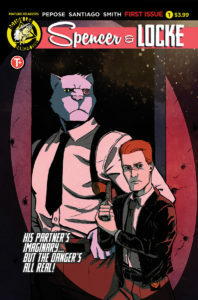 Fans can catch up on SPENCER & LOCKE at ComiXology or can preorder the SPENCER & LOCKE trade paperback collection through their local comics shops by Monday, July 24 using the preorder code JUN171107. You can also follow SPENCER & LOCKE on Facebook, Twitter, and Instagram. Preview images can be accessed here, and the comic book trailer for SPENCER & LOCKE can be viewed on YouTube here.